It was announced today that the Scottish Open is scheduled to be aired live on NBC this summer. This is great news for the event and also for Castle Stuart Golf Links. Castle Stuart in the Highlands will host the event for the 3rd consecutive year in July with a prime slot the week before the Open Championship at Muirfield. Castle Stuart is still a young course – having opened its doors in 2009 – but it is already ranked 56th in the world. It’s a ‘must play’ for anyone visiting the Highlands! The highlands of Scotland offer some stunning scenery as well as golf course options; a great base from which to explore this area is Inverness. The city has seen a host of exciting new restaurant openings in recent years. For accommodation, Kingsmills Hotel is a great 4 star option and there is now an additional choice available from July 2012 in the shape of farmhouse and cottage accommodations at Castle Stuart Golf Links. Treasure hunting links golfers will be pleased to find new loot in the Highlands at Castle Stuart. It was Golf Magazine’s “Best New International Course of the Year” in 2009. 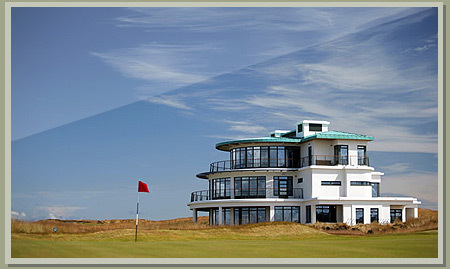 It was ranked World 56 and selected to host the Barclays Scottish Open in 2011. Better still, if you’re the type that likes to hit the ground playing, the first tee is but 2.9 miles from the airport! This is fantastic news for Castle Stuart Golf Links and, more importantly, Scottish Golf. The Scottish Open is one of the biggest events on the European Tour and it currently occupies one of the most sought after slots on the European Tour calendar. There was widespread speculation that if a sponsor wasn’t found, the French Open would replace the Scottish the week prior to the Open Championship. However, it looks like the European Tour will hold out for a sponsor on the back of the success of this year’s event. Having attended the event myself, I fully agree with the decision.